They met with him twice. There won’t be a third session. With the Broncos trading up from No. 31 to No. 26 to acquire quarterback Paxton Lynch, they’re out of the running for quarterback Colin Kaepernick. General Manager John Elway has confirmed the fairly obvious reality to Mike Klis of 9News.com in Denver. The development leaves Kaepernick without a clear destination for 2016, unless the Jets decide to abandon the pursuit of 2015 starter Ryan Fitzpatrick and swing a deal for Kaepernick. 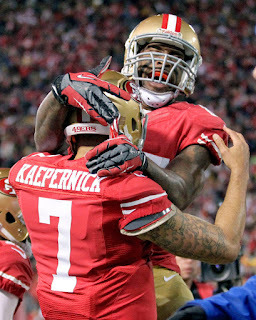 And it means that Kaepernick likely will remain with the 49ers for at least another season. 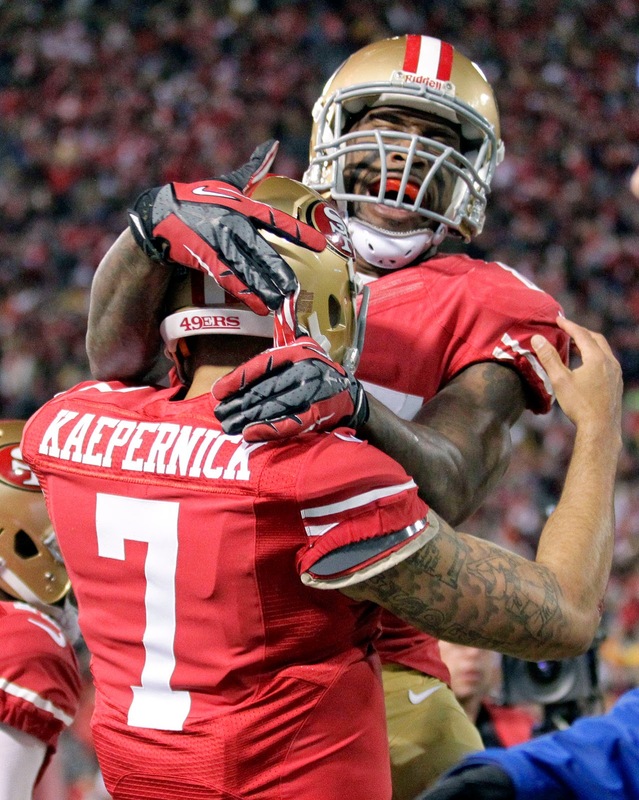 The question becomes whether Kaepernick wants to be there. At some point, he needs to realize that he has no other options, and that he should focus on being the best player he can be. From the Browns to agent Erik Burkhardt to agent Drew Rosenhaus to the marketing agency owned by LeBron James, plenty of folks have had enough of Johnny (a/k/a Jonathan) Manziel. One of the world’s leading shoe manufacturers has now added its name to the list. Via Darren Rovell of ESPN.com, Nike has terminated its relationship with Manziel. In January, Nike reportedly was “on the fence” about keeping him. Coincidentally, Manziel’s trip to Nike’s Oregon campus ended up being one of the only exceptions to his Eddie Haskell-inspired “all about football” phase of early 2014, when Manziel was otherwise creating the impression that he was fully and completely committed to getting ready for life in the NFL. It worked. He was drafted as high as possible. Unfortunately, the plan didn’t extend to keeping him in the NFL as long as possible. Once upon a time, Giants running back Tiki Barber was supposed to become a media star, working on NFL football games and morning TV shows while gradually becoming so visible and popular that he’s better known for his work in television than for his exploits on the football field. Things didn’t work out for Tiki. And his one-time enemy has become exactly what Tiki was expected to be. Giants defensive end Michael Strahan, who was hired in 2012 to replace Regis Philbin as the co-host of a morning talk show with Kelly Ripa, is leaving the show to become a full-time member of ABC’s Good Morning America. 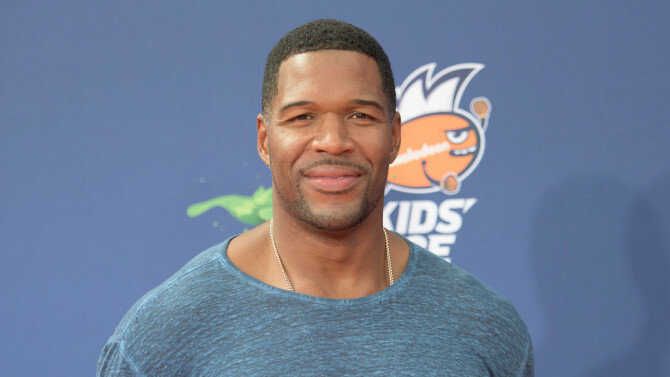 Strahan will continue to serve as a co-host of the FOX NFL pregame show, commuting between New York during the week and L.A. on the weekend during football season. In 2002, Barber sparked a feud with Strahan by making public comments about Strahan’s contract talks. The duo would later patch things up, but that period of acrimony would continue to characterize their relationship, and it definitely sets up what is now an apples-to-apples exclamation point in the comparison between Barber’s post-football career and Strahan’s. The financial circumstances could make Foles attractive as a trade candidate. 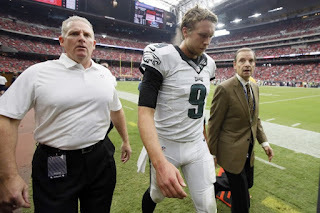 At a time, for example, when the Broncos unsuccessfully are squeezing 49ers quarterback Colin Kaepernick to take only $7 million this year, the Broncos could get Foles for exactly 25 percent of that amount. The movements and potential movements of Colin Kaepernick and Robert Griffin III have been well covered this offseason, which is not something that you can say about one of their predecessors as a quarterback whose ability to make plays with his legs. Michael Vick was last seen on the field in Week Six when he started for the Steelers in place of an injured Ben Roethlisberger and went 3-of-8 for six yards against the Cardinals. Vick also ran five times for 47 yards before leaving the game with a hamstring injury that led to Landry Jones getting a turn under center. Vick started three games and played in four overall for Pittsburgh and finished the year 40-of-66 for 371 yards, two touchdowns and an interception. That hasn’t led to any action for him in free agency at this stage and Vick realizes an injury or other unexpected development could be the only thing that changes that landscape. If it does, he says he feels able to answer the call. 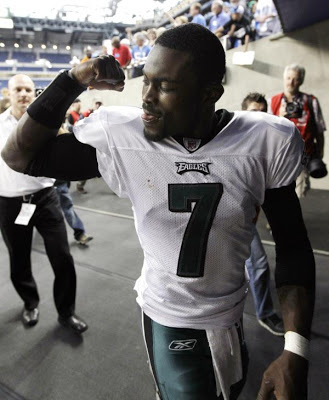 Vick signed with Pittsburgh in late August in the wake of Bruce Gradkowski’s injury, so it’s not out of the question that he’ll find a way to continue a career that’s taken plenty of twists and turns since he went first overall in 2001.